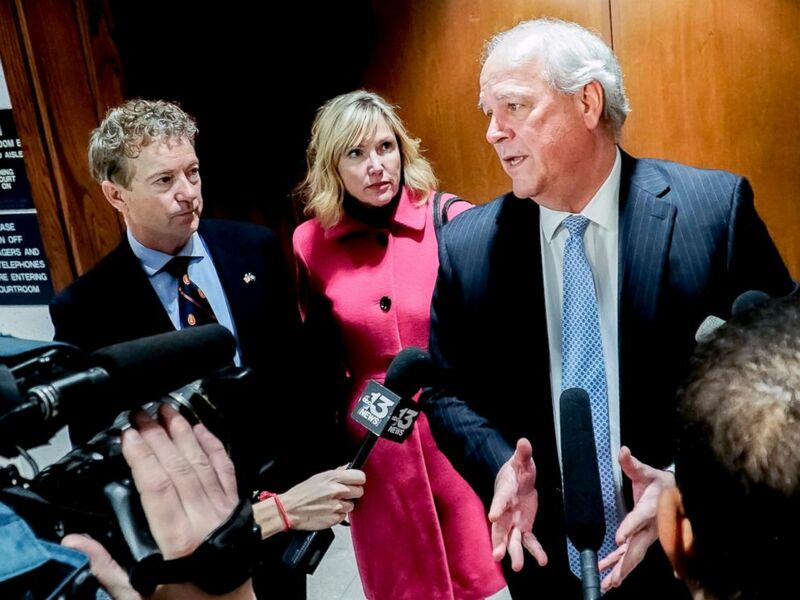 A jury ruled on Wednesday that Paul's neighbor, who got into a scuffle with the senator in November 2017, will be required to pay exactly $582,834.82 for his transgression. Paul filed the civil suit against his neighbor, Rene Boucher, in June 2018. "We're very pleased with the result and we think justice was served," Tom Kerrick, Paul's lawyer, said after the verdict. Paul, R-Ky., later tweeted about the ruling, saying, "This lawsuit wasn't about me. It was about all of us and what we find acceptable as a society. We need to send a clear message that violence is not the answer - anytime, anywhere." In the civil complaint, Paul sought an unspecified amount of compensatory and punitive damages from Boucher for "physical pain and mental suffering" resulting from Boucher’s attack of Paul. He said in testimony that he feared for his life and wasn't sure he'd ever get up from the ground after the attack. According to testimony from Boucher's lawyer during the trial, Boucher raked a pile of leaves along the dividing line between he and his neighbor's lawn the day before the attack. Boucher decided to burn the pile to get rid of it, but accidentally burned himself. When he saw Paul raking another pile of leaves the next day, he confronted Paul, tackled him to the ground and fought with him. "Certainly not what we were expecting," said Matt Baker, Boucher's attorney. "I'm certain that he's disappointed."